Foxes can benefit farmers to an average of £500 a year, according to a new study published to coincide with the Scottish parliament’s review of hunting legislation. Campaigners hope that tightening the foxhunting ban in Scotland will prevent David Cameron reintroducing attempts to relax the ban in England and Wales. The report was commissioned by the League Against Cruel Sports Scotland to coincide with a Holyrood review of the effectiveness of its ban, which includes a “pest control” loophole that still allows the use of dogs if they are “flushing” foxes from cover towards waiting guns. 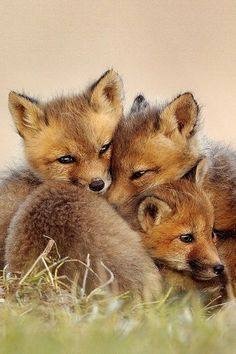 Drawing on more than 60 independent studies, as well as his own research, Stephen Harris, professor of environmental sciences at the University of Bristol and a leading vulpine expert, concludes that foxes are not the pests that hunters claim; that hunting them does not reduce fox populations and that killing them can actually increase overall numbers. Harris found that fox numbers have decreased since the ban was introduced in Scotland in 2002, two years before the practice was banned across England and Wales, contradicting predictions made by the pro-hunt lobby. The report argues that pest control can be counterproductive, especially when a dominant animal is killed. That causes more foxes to move into an area to compete for the vacant space, leading to a local increase in numbers and higher livestock losses. But it also notes that the fox is not a significant livestock predator, with losses of hill lambs to foxes proportionately lower compared with other causes of mortality such as weather and poor husbandry. It also calculates that the animals can be worth between £156 and £886 to farmers due to their efficient rabbit predation. The Scottish government announced a review of the Scottish ban, enshrined in the Protection of Mammals (Scotland) Act 2002, in September after surveillance of five of Scotland’s 10 hunts suggested that they were routinely ignoring the legislation. Campaigners would like to see legislation amended to reduce the number of dogs used in flushing to guns to two, to prevent hunts from using a full pack under cover of the exemption, and to add a clause outlawing reckless behaviour. Campaigners are also hopeful that if Scotland toughens its ban this will make it harder for the Westminster government if it revisits the issue as expected later this year. In a major humiliation for Cameron, the government was forced to withdraw its attempt to relax the foxhunting ban in England and Wales in July after the Scottish National party said it would vote against the change. At the time Downing Street insisted the proposal was a technical change to bring the law in England and Wales more closely into line with Scotland. Downing Street was expected to revisit the issue in the autumn after the introduction of English votes for English laws in parliament, although the new procedure would not stop the SNP voting down the relaxation of the foxhunting ban because it still requires a vote of the whole house for legislation to pass, in addition to a vote by English and Welsh MPs only.